An affordable apartment has never been more comfortable than those for rent at Audubon Manor. From the moment you pull up to our Ossining, NY, apartment community, you will appreciate the beauty of our locale. Brick facades and white trim porches welcome you home, hinting at what awaits within. Choose from studio and one bedroom apartments for rent near Ossining High School and South Highland Avenue. Each of our homes comes equipped with a full-size washer and dryer, as well as hardwood floors. Live well at Audubon Manor. Relax and unwind with an apartment for rent at Audubon Manor in Ossining, NY. Our studio, one, and two bedroom apartments are handsomely equipped to provide you a comfortable living space. Imagine coming home to the beauty of hardwood floors and the convenience of an in-home washer and dryer. We also offer you the peace of mind that comes with off-street parking and a personal garage rental. This is the affordable Westchester County apartment you’ve been searching for. At Audubon Manor, we combine the comfort you deserve with a price you can afford. Let us show you a better way of living in Ossining. For a friendly, welcoming atmosphere, look no further than Audubon Manor. 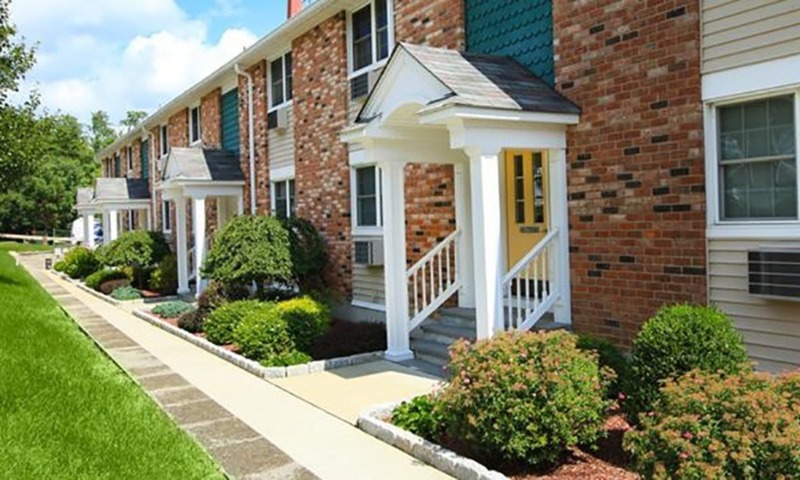 Our affordable Ossining apartments offer everything you need in an apartment community. We are a team dedicated to your satisfaction and wellbeing. You can rest easy knowing we’re here to assist you when you need us. Audubon Manor is home to pet-friendly studio, one, and two bedroom apartments for rent in Ossining, NY. Welcoming cats and dogs, tails wag for our friendly apartment homes. Visit our pet page to learn more about our pet policy and fees. Become a member of the Audubon Manor apartment community. We’re here to help you live comfortably on a budget. At Audubon Manor, we are always near where you want to be. Give us a call today, and let us arrange your personal tour.